Benvenuti! Welcome to the home page of the Rhode Island Teachers of Italian (RITI). 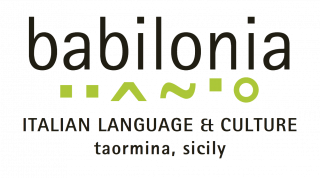 We are a professional organization of educators who teach the Italian language and culture in elementary, middle schools, high schools, colleges and universities throughout Rhode Island. the AATI National Italian Examination, the annual RITI Fundraiser Scholarship Dinner, Book Awards, scholarship in memory of Mary Borra, scholarship in memory of Professor Remo J. Trivelli, Advisory Board Scholarship, Renaissance Alliance Outstanding Awards, the Women’s Youth League of RI Scholarship, and free AATI/RITI membership for first-year teachers. If you are a teacher of Italian in RI and wish to be a member of RITI, please contact bruna.boyle@verizon.net. If you are an Italophile and wish to know more about our organization, we welcome you to join us at one of our many activities listed on our calendar of events page. Thank you for your interest and please browse our website to get to know us. To promote and support the study of the Italian language, its literature, and its culture from the elementary level through post-secondary education. The purpose of this change is to build a more cohesive, strong and connected group of teachers and professors who will work together to support the Italian language and culture in their state/region. The new procedure also signifies that teachers/schools automatically become members of the Società Onoraria Italica and will be able to participate in the AATI National Italian Examinations without having to register separately to each organization. The new AATI membership fee is $50; however, a percentage of each membership will be reimbursed to the local chapter, in our case, RITI. We encourage you all to join AATI-RITI. No prizes awarded due to all students scoring lower than the third place score in level 4 category A. Only first prize awarded due to small group size. Congratulations to Jenny Zhukavets and Sophie Tesson! Jenny, an Italian teacher at Classical High School in Providence, R.I. is the recipient of a two-week scholarship in Recanati, le Marche during the month of August. Sophie Tesson, an AP Italian student of Jenny Zhukavets, is the recipient of $1,000 dollars for having received the highest score on the AP Italian Language and Culture Exam in Rhode Island. Both awards were offered by C.A.S.It (Centro Attivita’ Scolastiche Italiane) in Boston. MARIA C. MANSELLA, Community College of I.